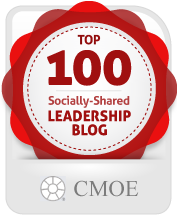 Leadership Blogs – Who’s Getting the Top Social Shares? It’s interesting that The People Equation made the list at #45 (cracked the top 50!) But what does it really mean? The compilation doesn’t make any claim that these are the best leadership blogs out there. Rather, this list highlights leadership blogs that are shared most frequently via the social media channels of Facebook, Twitter, LinkedIn and Pinterest. Because I’m familiar with the writing of a few dozen of these blogs, here’s my take: many of the blogs are on here because they are both well-written and their writers have harnessed the power of social media. For example, Dan Rockwell’s Leadership Freak and Sharlyn Lauby’s HR Bartender are numbers one and eight respectively. Both writers publish consistently high-value content and do so frequently. Therefore it makes sense that their blogs would be among the most socially shared. Oh, and one more thing – as I was creating this pared-down list, I saw many more blogs that looked interesting. So, I’m not suggesting that the blogs listed above are the only ones worth your time. In fact, I’m going to familiarize myself with many more that made the top 100 list. Will you join me? *A note of thanks to the CMOE for investing time to analyze the social shares. I’m grateful to have these analytics. I agree. This has been a concern of mine as well – there is no way to have a completely comprehensive list to start with, so bloggers inevitably are excluded. However, with this list, I was pleasantly surprised to see a higher proportion of female leadership bloggers. I have a theory – wondering if there are more women on this list because it measured social sharing – a technology that has leveled the playing field for women.